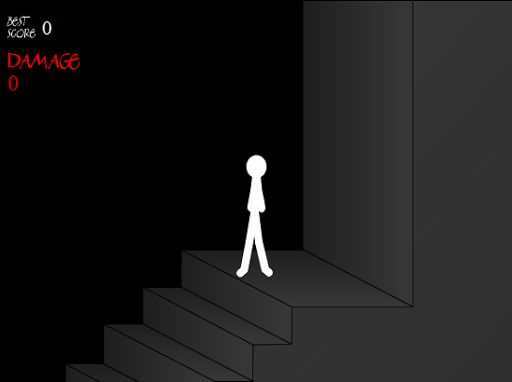 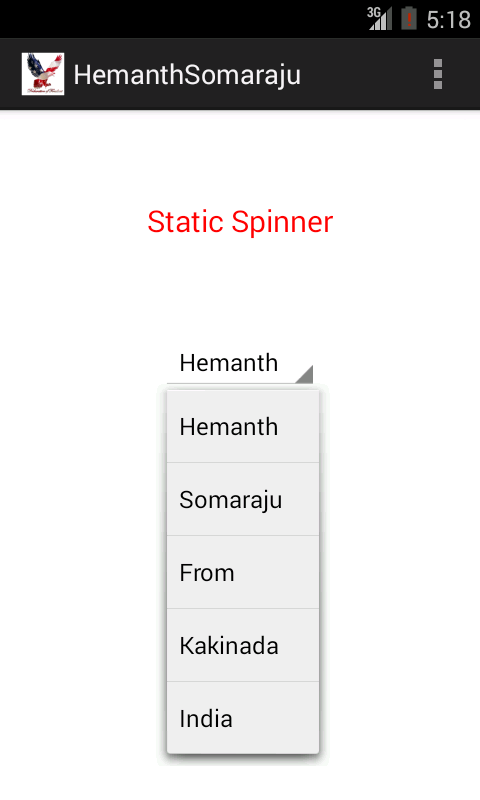 1.Static Spinner Creation in Android. 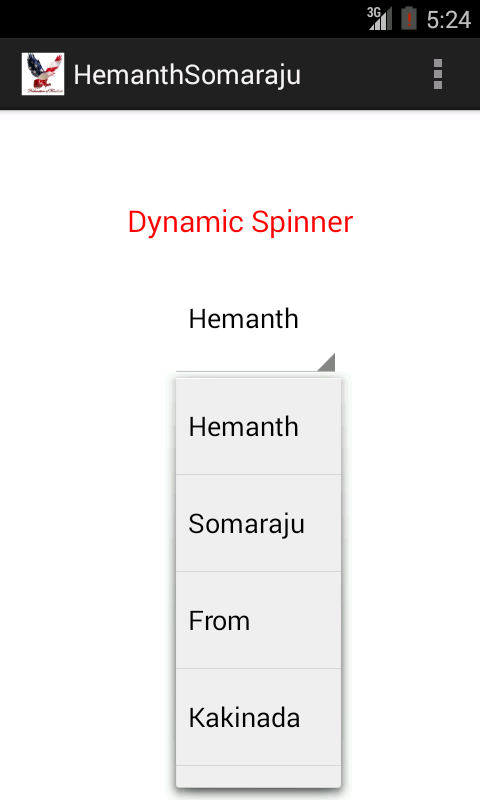 2.Dynamic Spinner Creation in Android. 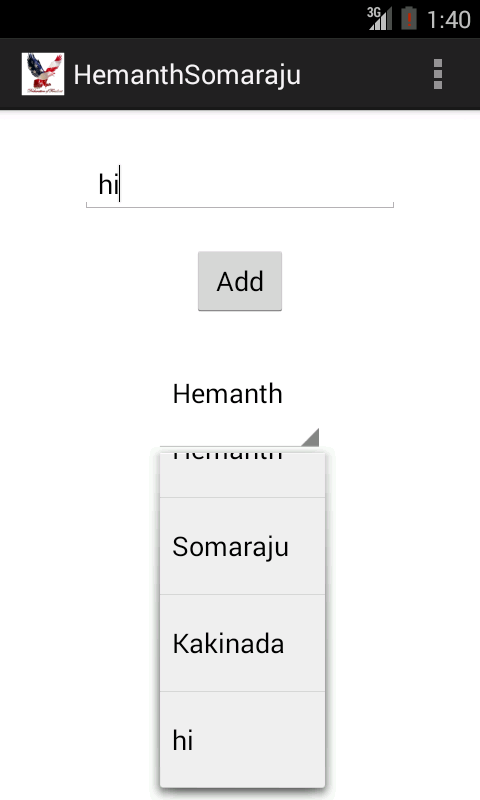 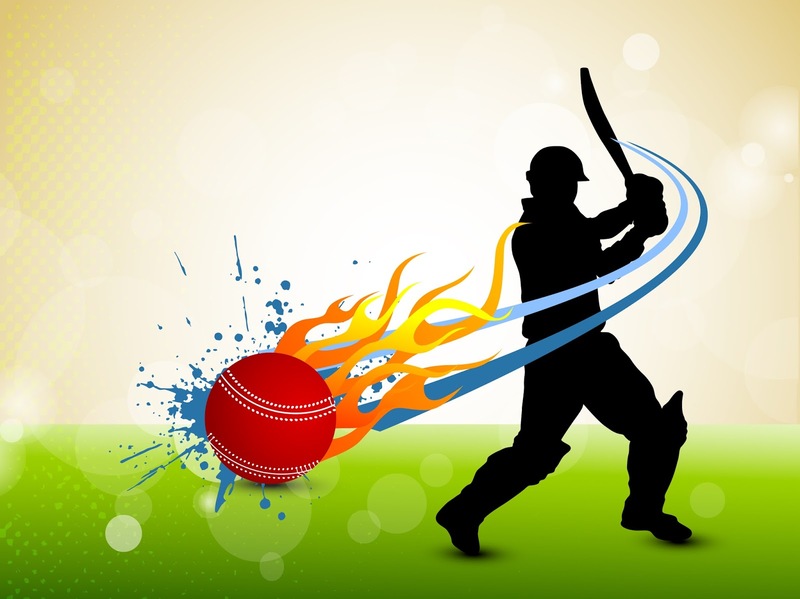 3.Create More Spinner in More Ways. 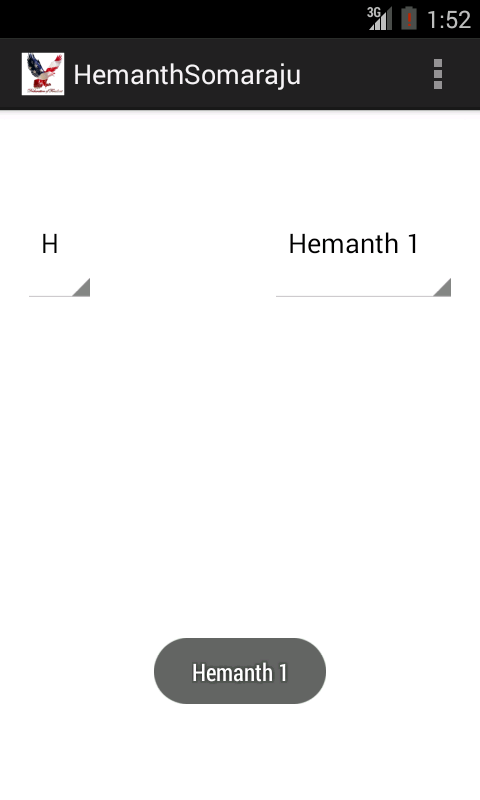 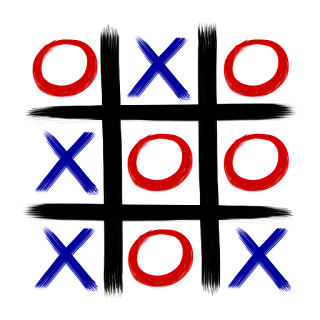 4.Transparent Spinner without using Alpha. 5.Spinner with Previously Selected Value. 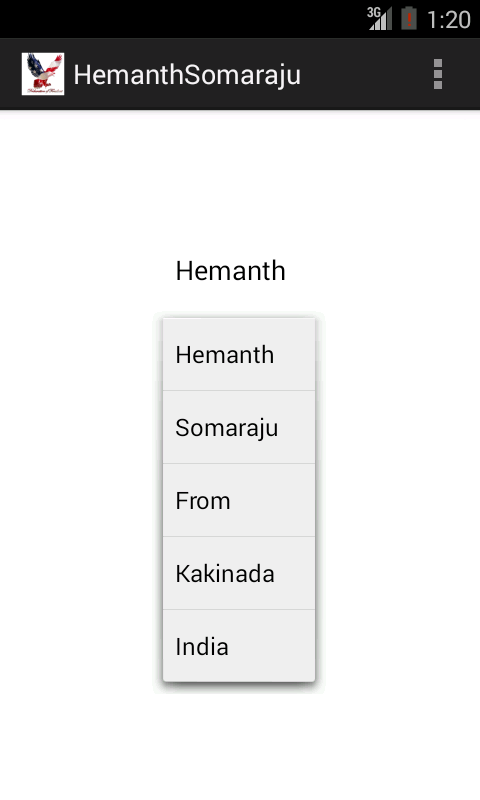 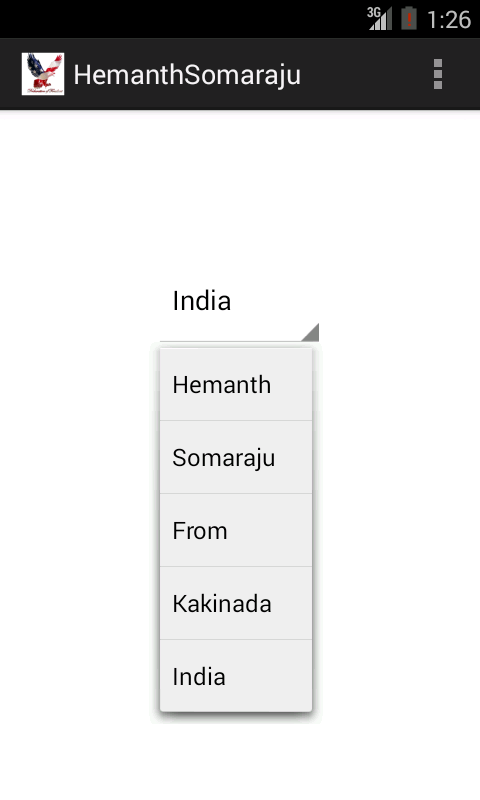 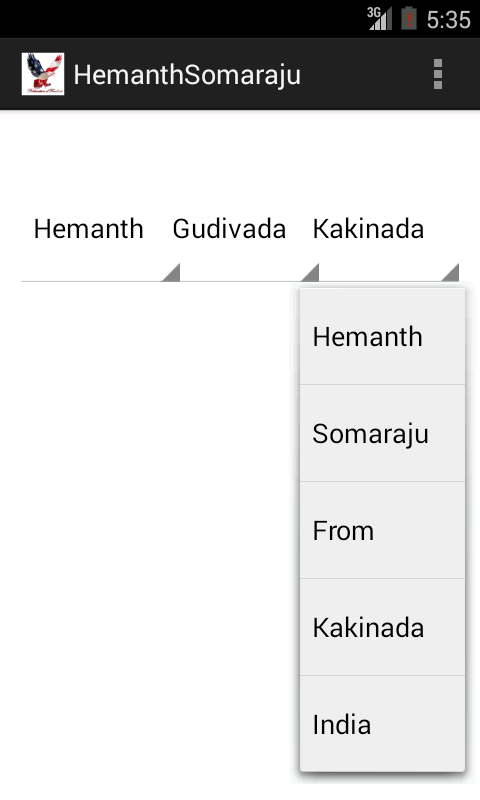 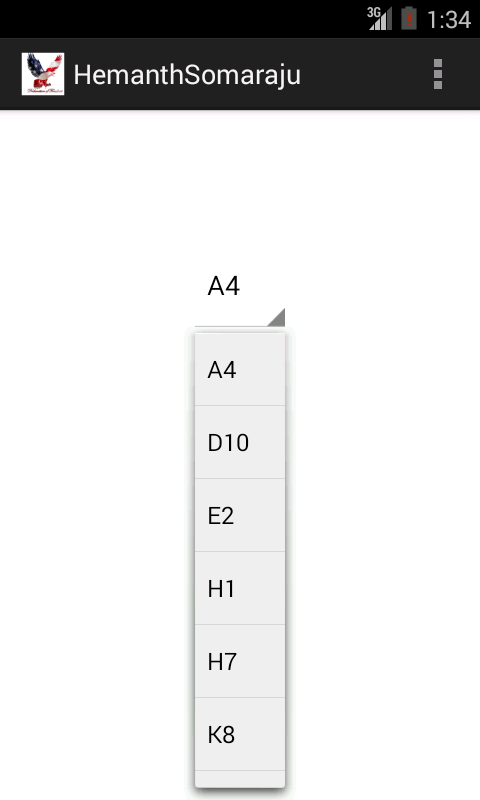 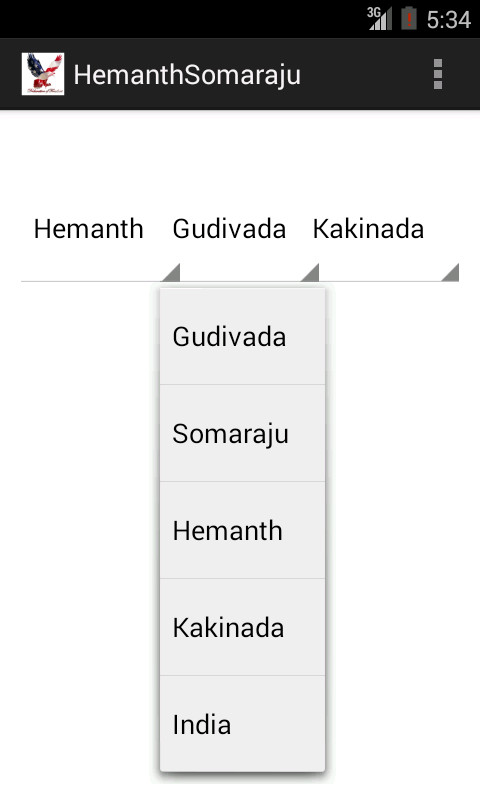 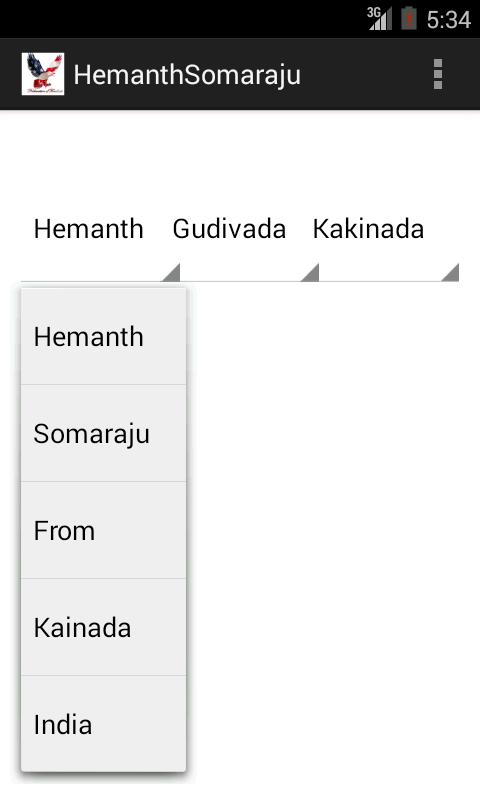 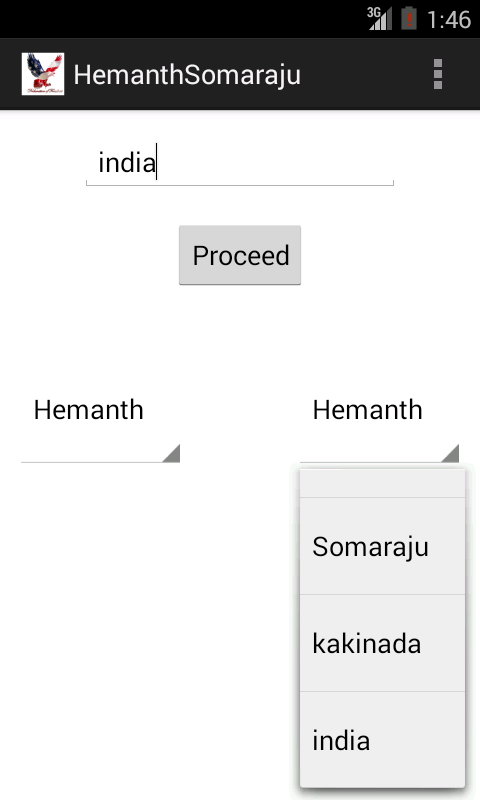 6.Sort Spinner Items in Android. 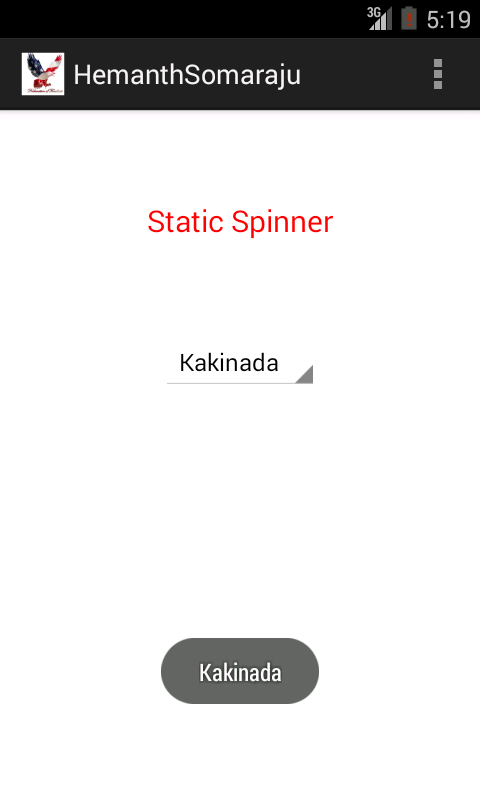 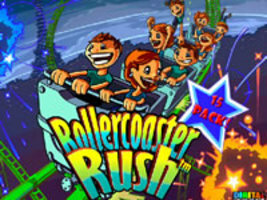 7.Run Time Add Item to Spinner. 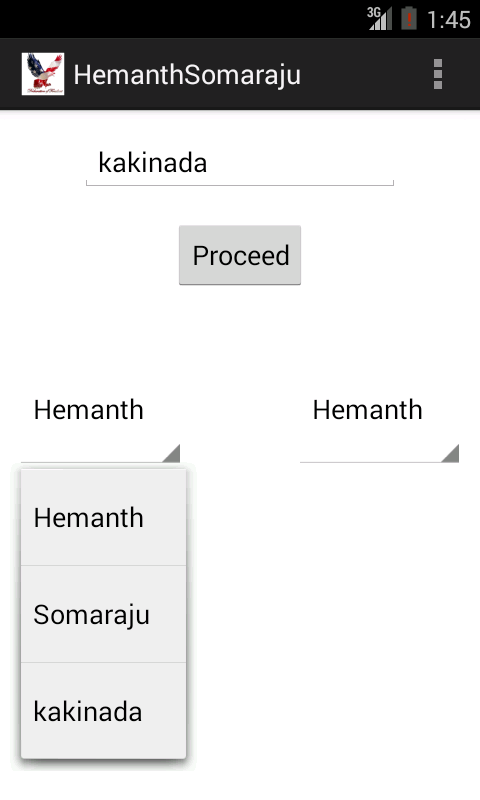 9.Spinner Selection defines Item for Another Spinner.